combination of hard PVC for the connectors and soft, flexible PVC for the cable shielding. That gives the cables a high level of durability and, in fact, Anker claims it can withstand over 10,000 bends. As with other Anker products, the cables all come with an 18 month warranty against defects so you are protected for the long run. 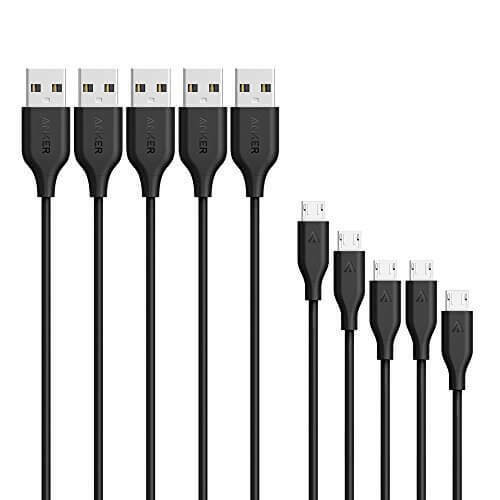 I personally am a big fan of their products and have this very cable pack (along with some of their USB C cables for my Nexus 6P) and have no hesitation in recommending them. They get the job done and they are able to handle the wear-and-tear of my daily life at home or on the road. The promotional price at Amazon is through today or while supplies last. The good news is if you want to pick up an extra or give them as a gift, there is no limit to the number you can pick up.